Metchnikoff was born in the village of Ivanovka, near Kharkov, Ukraine, on May 16, 1845. In high school he developed a keen interest in biology; in 1862 he entered the University of Kharkov, where he became fascinated with living forms seen under a professor’s rare microscope. After completing a four­ year program in two years, he traveled to Germany to study at the University of Würzburg, where he read CHARLES DARWIN’s On the Origin of Species before beginning classes. He was a passionate convert to the theory of organic evolution, which influenced his work on the evolution of nematodes, worms that alternate between sexual and asexual reproduction. Continuing his studies in Naples, Italy, he helped demonstrate that different animals have similar cell­layer structures in their embryonic stage. For his thesis on the early development of fish and crustaceans, Metchnikoff was awarded a doctorate from the University of St. Petersburg, Russia, in 1867. That same year he received the Karl Ernst von Baer Prize for his work in embryology. He subsequently taught at St. Petersburg, at Odessa, Ukraine, and at Messins, Italy, where he made his most significant discovery. Biologists at that time knew that white blood cells were part of the human immune system, but they incorrectly thought that such cells simply transported material throughout the body, aiding in the spread of infections organisms. Metchnikoff showed that white blood cells actually have a protective function. Studying transparent starfish larvae, he observed that certain cells surround, engulf, and destroy foreign substances. He noted similarities between the action of these cells and that of the white blood cells present in inflamed areas of human infections. He theorized that the starfish cells and the white blood cells, both of which he named phagocytes (“cell­eaters”), are derived during development from the same embryonic cell layer and perform the same function. He concluded that phagocytes clear the body of disease ­causing organisms. It is now known that phagocytosis, the ingestion of foreign particles by phagocytes, is the body’s second line of defense against infections. Phagocytes attack unwelcome organisms and other substances that bypass the body’s external defenses, such as skin and secretions from mucous membranes. Metchnikoff continued to study phagocytes in animals as the director of the Bacteriological Institute at Odessa. Attacked by the press for his lack of medical training, he moved to Paris in 1888 to accept a post in a new laboratory at the Pasteur Institute, where he worked until his death on July 15, 1916. In 1908, Metchnikoff received the Nobel Prize for Physiology or Medicine (jointly with PAUL EHRLICH, who conducted independent immunological research) for his contributions to immunology. In his later years he became interested in the effects of diet on health and aging and advocated the consumption of lactic­ acid­ producing bacterial cultures, such as those present in yogurt. Metchnikoff’s assumptions about phagocytes formed the basis of further immunological research, which led to the modern understanding of the body’s immune system. Metchnikoff joined the scientific community just as the study of immunity was emerging as a distinct discipline within biology. Immunology developed through a convergence of microbiology, pathology, and embryology. Scientists had shown that pathogenic organisms cause disease and that inflammation occurs at sites of infection. 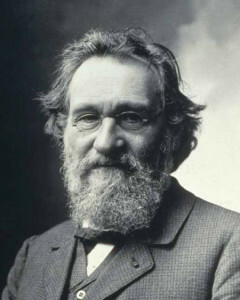 Metchnikoff’s identification of phagocytes revealed the basic mechanism of the immune response and allowed directed investigations of the immune system to continue. The theory of phagocytosis was unique in suggesting that the body mounts an active response to invaders and is capable of internal reparative processes. The body had previously been viewed as relatively passive, easily succumbing to external impacts. Metchnikoff inspired other researchers to explore immunology. One of his students at the Pasteur Institute, Jules Bordet, went on to discover the first of the nine existing “complements,” enzyme systems that are responsible for the destruction of a distinct group of pathogens. Human immunity, including action of T­cells, is much more complex than Metchnikoff and his students imagined. The search for comprehensive understanding of the body’s natural defenses has continued throughout the twentieth century, revealing the physiological, chemical, and genetic factors involved; however, details are still clouded enough to maintain active debates concerning the interpretation of immunological studies. Metchnikoff’s version, correct in its basic concepts of immune function, still inspires researchers and medical practitioners. Posted on March 10, 2015 by Natalie. This entry was posted in Biologists. Bookmark the permalink.